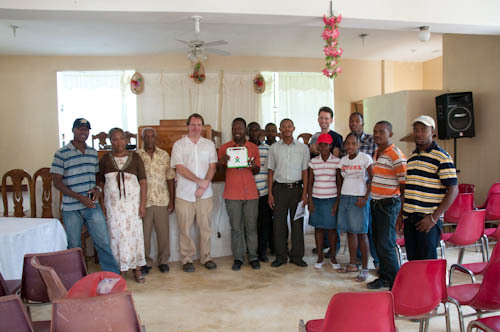 ONET organization is peased to announce its yearly summer camp in Petit-Goave that takes place from August 16 to August 16th, 2011. Thanks to the generosity of our partners and friends, we will be capable of providing an important support to our kids. A large portion of activities have been chosen to create an entertaining and educative atmosphere during this period of time. Parents and members of the organization commit to join our energy and strength as to provide a psychological environment to our kids prior to the school opening in early September 2011. Thanks again to our friends and partners, and especially those who still think that the future of the country depends on the way we are currently treating our kids. Our objectives is to gather a large number of kids during those days, but our means are limited. In fact, we still welcome your contributions to better pursuit this objective.